The Campaign for a New Workers' Party conference, meeting in London on 19 March, was attended by some 450 people. Former Labour MP and current Socialist Party councillor in Coventry Dave Nellist chaired the conference, which debated nine resolutions about the future shape of the campaign and elected officers and a steering committee to take the campaign's work forward. An overwhelming theme of the conference was that after previous false starts in trying to establish a new party to represent working people - such as Arthur Scargill's Socialist Labour Party - any new party would have to be democratic, open and inclusive. At this stage the delegates at the conference felt it should take a federal approach to bring in as many supportive organisations and groups as possible, with no one group or individual dominating. Dave Nellist, elected as the chair of the new steering committee said after the conference: "Today has been a very good start to our aim of preparing the way for a new party based on trade unionists, anti-war campaigners, community and environmental activists and particularly young people. "With PCS general secretary Mark Serwotka speaking at the conference, along with other supportive messages from leading trade union figures, then this shows we have a strong base in the unions. A key objective now will be to get the unions to break from Labour and support our campaign." Over 300 of the delegates at the conference were active trade unionists, including many members of trade union national executive committees and leading representatives at all levels of the trade unions. The new Campaign has a structure that allows trade unions to affiliate it and over half of the new steering committee were elected by trade union commissions on the day..
Dave Nellist added: "I think the timing of our launch has been just right. The sleaze allegations surrounding Labour, along with talk of state funding of the political parties which will further break the unions' now tenuous links with Labour then I think we are well placed to see our campaign go from strength to strength. "The Conference clearly concluded that Labour was no longer an option for working people. The CNWP needed to become the clear option for the working class, but it must first be rooted in communities and within the left, and that will be our task in the months ahead"
Although this was an initial conference of the CNWP it agreed a number of immediate tasks aimed at popularising the idea of a new mass workers' party amongst as wide a section of the working class as possible. Actively supporting any initiatives towards the development of a new party. In particular encouraging those trade union and trade union leaders that no longer believe that New Labour can represent their interests to take active steps towards founding a new party. 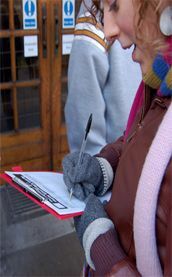 Reaffirming support for the declaration for a new workers' party and aiming to have at least 5000 trade union, community and anti-war activists signed up by the end of 2006. Establishing affiliation to the CNWP. Affiliation for national organisations will be 50 pounds and for local community, trade union and campaigning organisations 25 pounds. All national affiliated organisations with 100 or more members would have a seat on the steering committee. To get CNWP speakers to address local community, trade union and campaigning organisations meetings. Organise a CNWP speaking tour in May which aims to develop local CNWP campaigns in those areas where they don't yet exist. Organise CNWP fringe meetings at as many trade union conferences as possible. To give support to genuine socialist and anti-cuts, anti-privatisation campaigns in the local elections. The steering committee will call a second national conference, by the end of March 2007 at the latest, to assess the progress made and look at how to further take the campaign forward.